August 25, 2017 – Toronto, Ontario – Matica Enterprises Inc. (MMJ–CSE) (39N – Frankfurt) (MQPXF – OTC PINK) (“Matica” or the “Company”) is pleased to report that Company management has completed a site visit at the Dorval, Quebec medical marijuana facility. Management of Matica were given a tour of the work site earlier this week by the general contractor, ICORE Construction. Significant progress towards completion of the project is being made involving major upgrades of numerous systems. During our visit, plumbing, waste water and underground systems were being completed and inspected. The systems being installed are maximum capacity systems with interceptors designed to recover all types of solids to enhance sanitation through efficient prevention of clogged waste lines. The system design is an environmentally friendly green system which will prevent solids from entering municipal waste facilities. Lessening the impact on the environment is a major priority for Matica. The redesign and construction of the extended capacity vault is underway and nearing completion. External cameras have been installed as part of the overall security system. The electrical system is also being upgrading with a backup generator which will supply power to the entire facility in the event of a power outage. The plans for the HVAC system have been refined. As Matica is committed to producing the highest quality product, management has commissioned a state of the art custom built climate control system. Management feels that the added cost will be outweighed by the product quality and consistency that the climate controlled environment will produce. Installation of the HVAC is expected to commence in September. During this latest trip to Quebec, Matica management also toured the premises of a second late stage application under the Access To Cannabis for Medical Purposes Regulation (“ACMPR”) in Quebec as part of the ongoing due diligence. In a July 20th, 2017 news release Matica announced a letter of intent to acquire a majority stake in a second 10,000 square foot growing facility located in an industrial park in Saint-Laurent, Quebec. 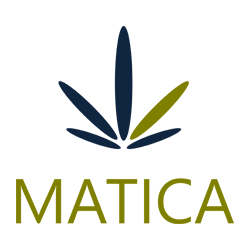 Matica has an agreement with RoyalMax Biotechnology Canada Inc. (“RoyalMax”) for Matica to become a majority owner (70%) of the late stage applicant under ACMPR. Matica and RoyalMax are diligently working to complete the build out of the 10,000 square foot facility in Dorval Quebec.